Need something to do today? Check out A Thing To Do Today in Amsterdam. Here's A Thing To Do Tomorrow in Amsterdam. Discover ideas for indoor and outdoor events and activities to see, do, visit and experience tomorrow for Amsterdam. Have an adventure. 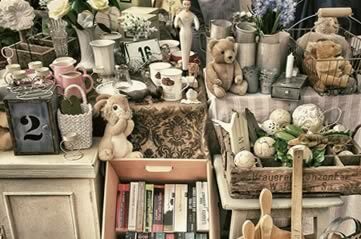 Rummage through the bargains at the Noordermarkt. For over 300 years, Amsterdammers have been selling their wares - new and old, boutique and second-hand - at the Noordermarkt. Open each Saturday in front of Amsterdam's Noorderkirk, browse through vast numbers of antiques, art, homewares, clothes and a whole lot more from 9am until 5pm. A Thing To Do Tomorrow generates things to do and places to go tomorrow, online and offline, this spring, for Amsterdam and beyond - whether you're visiting Amsterdam or a Amsterdam resident. To see another thing to do, just reload the page. Find out more about the site, or for comments, suggestions, corrections, donations, or just to say hi, email john@athingtodotoday.com. Or check out social media @athingtodo.